And of course, the date that falls today: October 31. Ahhh, October 31st. So many sweet childhood memories of All Hallows Eve! 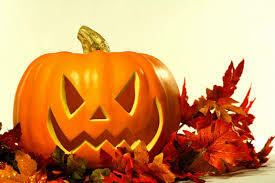 The fresh autumn smell of the cut pumpkin, and the feel of the gooey seeds as I emptied them out into the trash can, and the knife held hard in my hand as I carved out the jack-o’-lantern’s face. And the excitement of the costume: one year a ladybug, one year a hippy, one year Zeus and my little sister, Miriam, as my thunderbolt sidekick. I know it’s already frosty cold outside, but listen Mom, there is NO WAY I’m going to hide my costume under a coat. And of course the main event: the trick-or-treating ONLY to houses of neighbors we knew. First with my parents and then, as I grew older, all on my own with my big brother. And the huge bag of snickers and lollipops and lifesavers which we checked once home for razor blades and then treasured and ate treat by yummy treat for the coming week. Ohhh, how I loved Halloween! I love Rivki, she’s very Charedi and very cool and has tons of positive energy and clearly gets a major kick out of babysitting every morning for a bunch of toddlers before her own nine arrive home. So I knocked on the door, and when Rivki answered with her regular glowing happy-heart smile I asked her if she’d been saying a blessing with one of the kids. “Amazing. I’m going to remember that… ” I promised. Last night I was talking with my tenth grader Hadas about her school schedule which stretches 8 hours a day. “It actually makes sense that it was a lot shorter since you study Kodesh and also Chol—-holy subjects and also secular ones. And when I was growing up, of course, there was no Kodesh” and the sadness of my own words startled me. The Gemara refers to a person’s “Girsa D’Yankuta” meaning the things that we learn in childhood, the knowledge and experiences and beliefs that we drink in with our mothers’ milk and throughout our childhoods. The girsa d’Yankuta that is planted deep within our souls and accompanies us afterwards wherever we go in life. A life with much chol elevated by even more sweet Kodesh…. girsa d’yankuta-so true! having grown up in NYC, educated in public schools, it’s totally the girsa d’yankuta that I got at home, that found it’s way to my heart and accompanies me to this day and that I have hopefully passed on to my own children. It is fortunate that your home atmosphere was able to compete and override the outside influence. Nowadays besides the school and street we have television and radio permeating the environment inside many homes as well. Rishe: so what’s halloween about? Rishe: but what’s so good about death and decay? why would you celebrate that? Rishe: well what HAPPENED on this date many years ago? Rishe: yah, like on Pesach, the Jews got out of Egypt many years ago, and on Purim, the Jews were saved from Haman, and on Tisha B’av the temple was destroyed… that kind of thing. something must have happened on halloween. I remember similar conversations between me and the non-Jewish kids next door! In our naive youth we determined the preferable religion according to which one had the most holidays or gave more presents. Naturally our 8-day Chanukah won out over Dec 25th and so on. But the historical context (the “what happened on that day?” question) you bring up, which was foremost on your mind, shows me what your girsa d’yankusa you were blessed with. Look at the contrast! Even as young kids the both of you saw the flaw in the Candy holiday – the missing link to anything real. Of course, just for total real perspective, Halloween is a word derived from Hallowed Evening, when hundreds of years back folks(who were confused, saint-believing, superstitious-many-powers-believing sort-of-Christians), made a tradition of warding off the ghouls and demons of winter – the spirits who played some really-truly scary “Tricks” on poor innocent humans, with midnight bonfires. This word, BTW, is derived from “Bone Fires,” related to ritualistic practices included in what they threw into the fires – to get rid of the evil spirits of the dead. I actually learned this in fifth grade in public school in middle America, so I don’t know why Jill didn’t know this basic lore. However, it IS true that nothing happened! That is for sure. Beyond that, it becomes clear that Halloween is neither neutral nor Judaism-compatible (even though it is now nothing but a heap of commercialism and goofy fun). I personally advised my kids to avoid terms like bonfire for this reason, especially when connected to the high spirituality of Lag baOmer. Spread the word: It is called a medurah, right?